From 2018: Senior Research Fellow at Max Planck Institute for Tax Law and Public Finance. 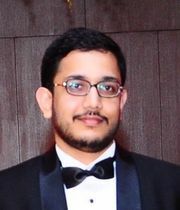 2012 – 2018: Fellow Programme in Management with specialization in Economics (equivalent to Ph.D. in Economics), Indian Institute of Management Calcutta. 2010 – 2012: Post Graduate Diploma in Management (equivalent to MBA), Indian Institute of Management Calcutta. 2004 – 2008: Bachelor of Technology (B.Tech.) in Engineering Physics, Indian Institute of Technology Delhi. Goel, B. and Sen, A. , Contests with supporters. Goel, B. , Bower-birds’ mate-selection contests: analysis and an application. Goel, B. and Sen, A. , Appropriative conflicts and the evolution of property rights.